Buenos Aires' province governor Maria Eugenia Vidal and candidate for Senate Esteban Bullrich gesture to supporters at their campaign headquarters in Buenos Aires, Argentina October 22, 2017. BUENOS AIRES - Candidates allied with Argentine President Mauricio Macri enjoyed sweeping victories in Sunday’s mid-term election, strengthening his position in Congress while dimming prospects for a political comeback by his predecessor Cristina Fernandez. A free-spending populist who nearly bankrupted the country during her 2007-2015 rule, Fernandez came in a distant second in her race for the Senate representing Buenos Aires, Argentina’s most populous province. With 98 percent of ballots counted by the interior ministry, Macri’s former education minister, Esteban Bullrich, had 41.34 percent versus 37.27 percent for Fernandez in the province that is home to nearly 40 percent of Argentine voters. The private sector has worried about a political resurgence by Fernandez, who is loved by millions of low-income Argentines helped by generous social spending during her administrations. 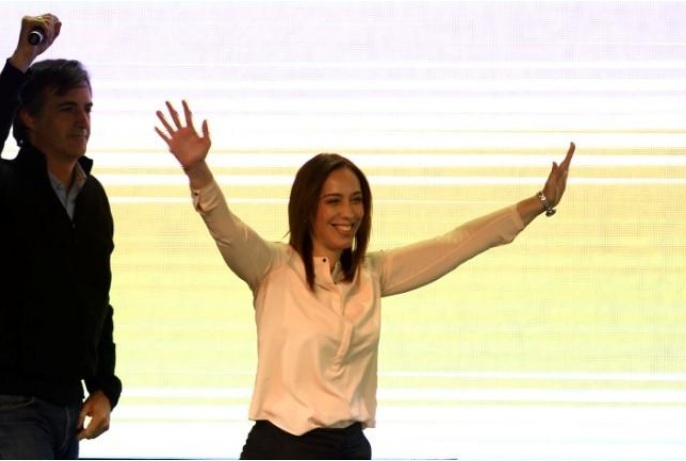 Fernandez thanked voters at her campaign headquarters and said her Citizen’s Unity party would remain a firm opposition to Macri’s economic model. Critics say Fernandez’s growth-at-all-costs policies stoked inflation and distorted the economy through heavy-handed currency controls. She has been further isolated politically by graft accusations. Fernandez, who as a senator will have immunity from arrest but not from trial, says there may have been corruption in her government but denies personal wrongdoing. “People are more confident in the future, the economy, in making investments. They are tired of corruption and populism,” said Cecilia de Francesca, a 50-year-old writer who was celebrating at the Cambiemos campaign headquarters. Argentina’s Merval stock index and its peso currency have strengthened on bets Fernandez would not get enough support to launch a serious bid for the presidency in 2019. Candidates allied with Argentine President Mauricio Macri enjoyed sweeping victories in Sunday’s mid-term election, strengthening his position in Congress while dimming prospects for a political comeback by his predecessor Cristina Fernandez. A free-spending populist who nearly bankrupted the country during her 2007-2015 rule, Fernandez came in a distant second in her race for the Senate representing Buenos Aires, Argentina’s most populous province.